Donald Trump said that if he loses Pennsylvania, it will be due to voter fraud. Ok, a reality check here, folks. Trump currently trails Clinton by 9-11% in the polls. Pennsylvania hasn't voted for a Republican presidential candidate since 1988, when George H.W. Bush beat Michael Dukakis. Bill Clinton, Al Gore, John Kerry and Barack Obama won PA by turning out voters in Philadelphia, Pittsburgh and the increasingly Democratic Philadelphia suburbs, which were once Republican. This more or less affirms political consultant James Carville's assessment that "Pennsylvania is Philadelphia and Pittsburgh with Alabama in between." What concerns me is not Trump, but his supporters. In this post- factual age, his fans will be incensed when the inevitable happens. He admonished his supporters to vote for him, then "go around and look and watch other polling places and make sure that it's 100 percent fine." The thought of gun-racked pick-up trucks of Trump supporters from Tionesta, Punxsutawney. Meadville and Franklin pouring into the Hill District on election day to "monitor" the vote is, frankly, alarming. There's always the chance that Trump's continued descent into madness will result in him being effectively removed from the ticket or garner only record low results, but it's still unsettling. 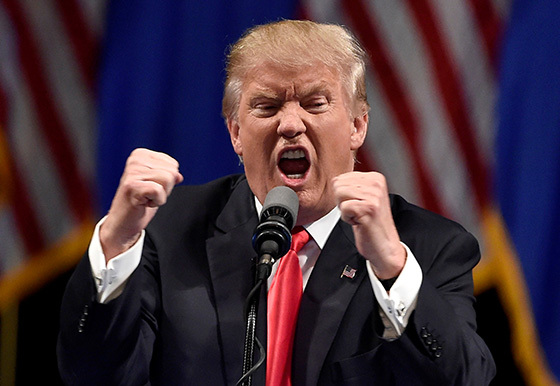 I know of several persons (including my wife, who had never voted before in her life) registering this year so that they could cast their ballots against this self-aggrandizing, narcissistic, insane lunatic. No matter who wins the election, things are going to be rather bumpy for a while. Prepare yourself.